When the cold weather hits (and let’s face it, it’s hit hard this winter), there’s nothing better than to curl up, hibernate and put on a pair of fuzzy socks. Hands down, fuzzy socks are in my books the best textile invention of the 21st century. They just don’t keep your feet warm. They flood your feet with waves of comfy softness, making you feel warm and cozy all over. My mother-in-law was a Victorian Order of Nurses foot nurse. She always says take care of your feet. It makes sense. The average person will walk 115,000 miles in a lifetime, four times around the earth. During an average day of walking, the force on your feet can total hundreds of tons, which is roughly the same as a fully loaded cement truck. So it only makes sense to take care of your feet and keep them happy. If you’re going for sheer warmth, stick with wool, but if you want an itch-free, cushy ride that will make you warm and fuzzy all over, wear fuzzy socks. 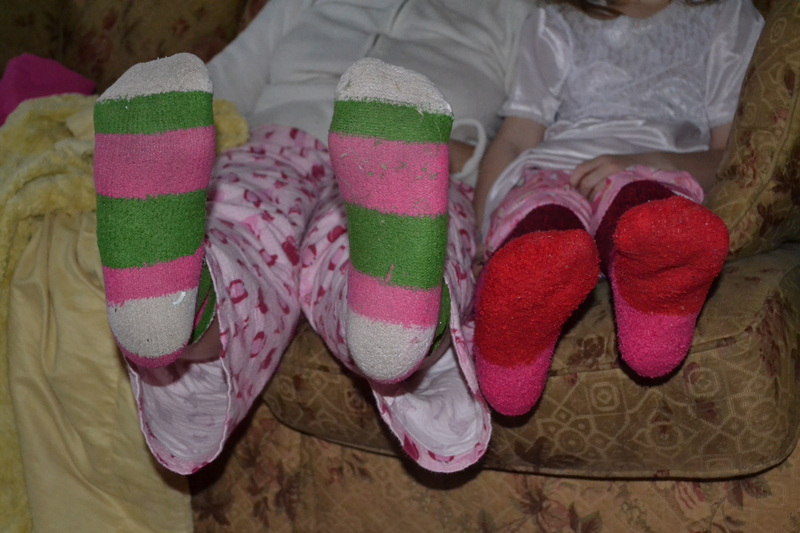 So this week’s Happy Act is to take care of your feet, make them happy and wear fuzzy socks. What favourite item of clothing makes you happy?